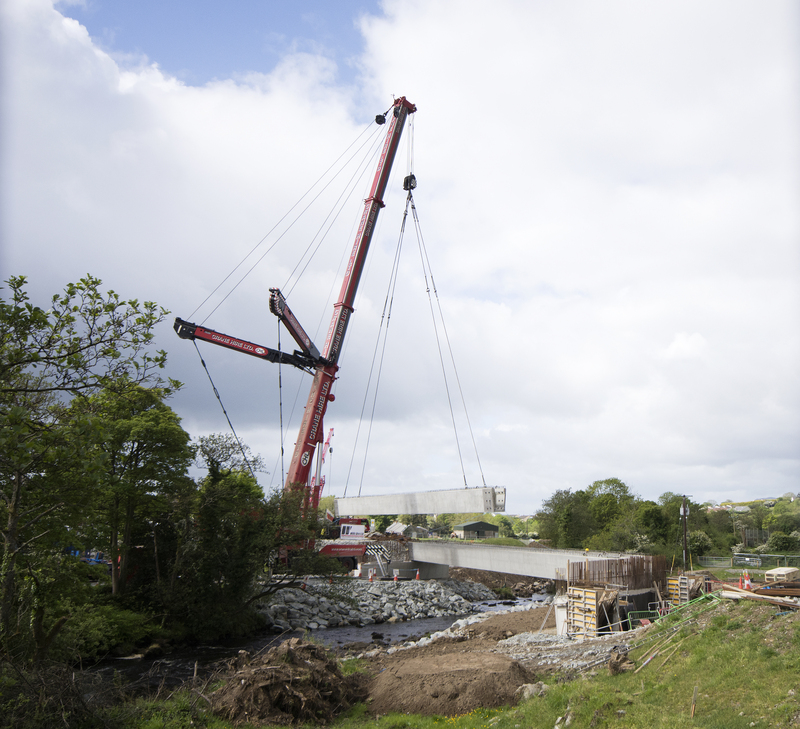 The core of the new Cockhill bridge was put in place last Wednesday when four enormous beams were laid across the Crana River in a complex operation that was months in the planning and completed in just six hours. A huge 750 tonne mobile crane was brought to the site to manoeuvre the beams – which were 40 metres long and weigh approximately 100 tonnes each – in place. “It’s a huge milestone for the project, and it’s happened a week ahead of schedule,” said Gavin McGeever, project manager for Wills Brothers, the company overseeing the €3 million project. “Everything went well with last Wednesday’s operation, which was planned meticulously,” McGeever continued.